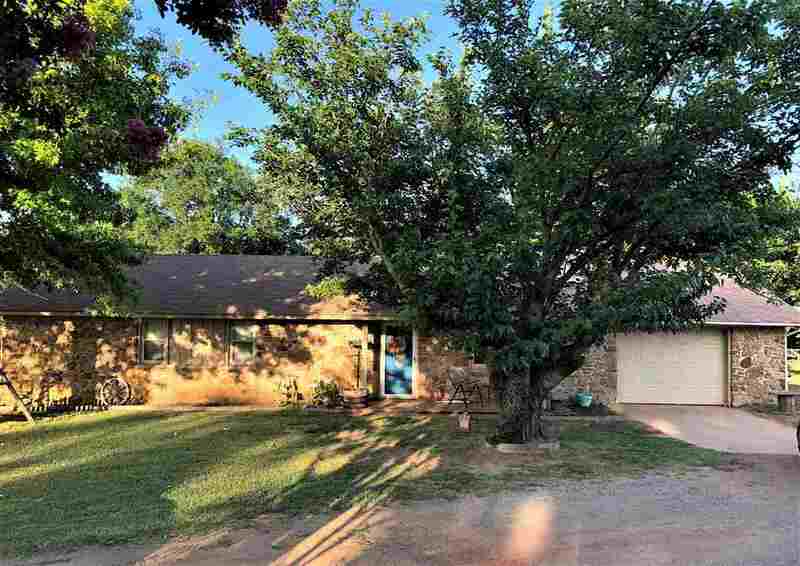 3.18 Acres w/BEAUTIFULLY UPDATED 3 BED/1.5 BATH HOME JUST OUTSIDE OF TOWN!! THIS ONE HAS IT ALL!! BEAUTIFUL COUNTRY SETTING~CONVENIENT TO TOWN!! HOME IS VERY SPACIOUS AND OPEN, HUGE LAUNDRY ROOM & NEW PANTRY ADDED; NEW WOODLAND FLOORING IN LIVING ROOM; GORGEOUS KITCHEN W/STAINLESS STEEL APPLIANCES & FAUX GRANITE COUNTERTOPS; UNIQUE BATH DESIGN; SPACIOUS BEDROOMS; LARGE WOOD DECK OVERLOOKING BACKYARD AND WOODS; CIRCLE DRIVE; 1-CAR ATTACHED GARAGE W/ADDITIONAL METAL 20X18 CARPORT & LARGE DETACHED WORKSHOP!! THIS ONE WON&apos;T LAST LONG~CALL TO SET UP A SHOWING TODAY! !